Hello again! 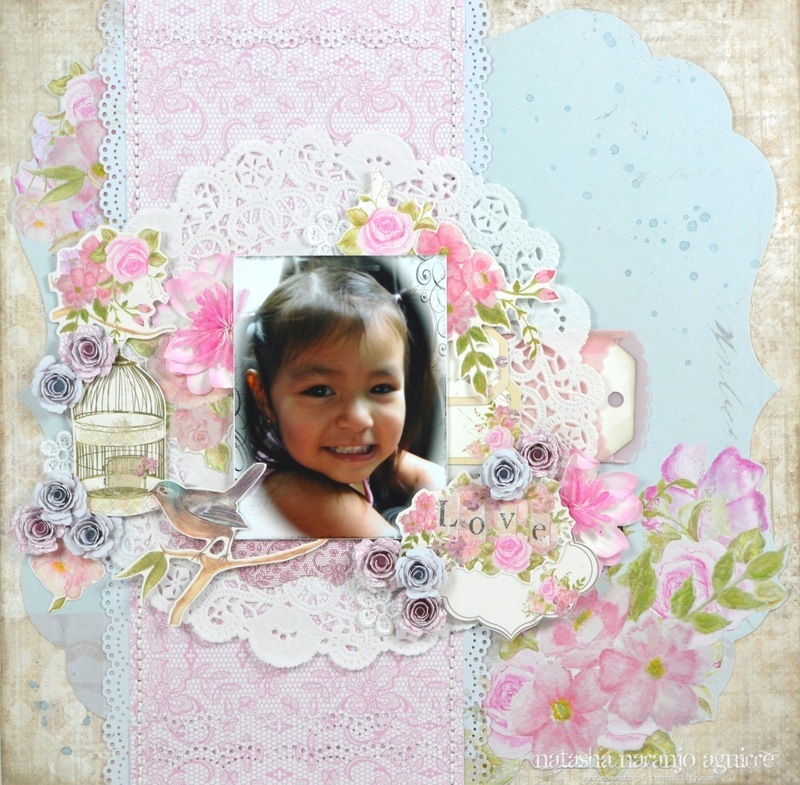 Today I have a layout to share that I made as a Guest Designer for C'est Magnifique using their September kit! 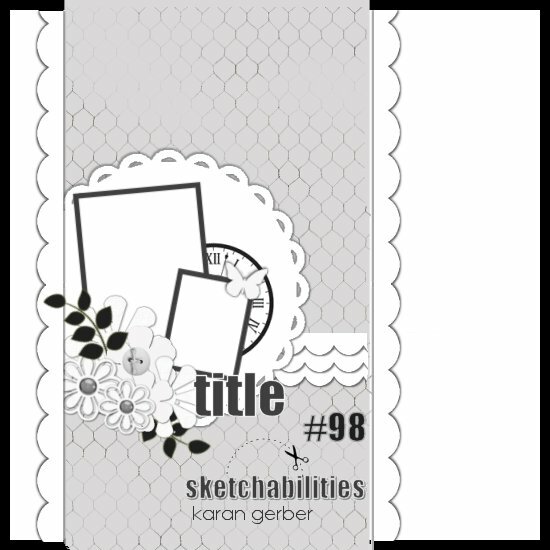 This kit includes a variety of papers by Kaisercraft and Scrapberry's. C'est Magnifique is sponsoring Sketchabilities this month and this is the cute sketch we got to play with. I really love the Kaisercraft die-cut shapes that coordinate with the papers. I layered several pieces beneath and around my photo. The pretty pink flower comes in the flower add-on and the little roses were hand-made from the Kaisercraft papers. This adorable vellum envelope & tag is by Melissa Frances and comes in this month's embellishment add-on. I added a little journaling on the tag and tucked it away behind the doily. O Natasha , this is so cute, tender and lovable !! Your little girl isn't she adorable! In these soft tones it's such a beauty! Knowing that I love all your creations a lot!! Congrats on your GDT spot. The layout is just so beautiful. Love the pastel colouring and super cute subject.